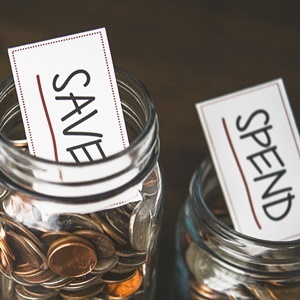 Cape Town - South Africans are indeed riddled with debt, but one of the reasons they struggle to maintain a savings culture is because of impulsive buying behaviour, according to a debt expert. Other factors contributing to a poor savings habit are economic issues, bad financial decisions and a lack of discipline when it comes to saving, said Wikus Olivier, debt management expert at DebtSafe. With July marking National Savings Month, there is no better time for South Africans to get proactive with their savings habits. National Savings Month is an initiative that was started in 2001 by non-profit organisation South African Savings Institute (SASI). The campaign aims to raise awareness of fiscal planning and saving, as well as getting all citizens informed and active when it comes to investments and savings. An alarming finding in the 2016 Old Mutual Savings and Investment Monitor was that 49% of the respondents (working metropolitan population) were saving less compared to 2015. The statistics indicated that the savings level of South Africans was less (15%) than the debt level (16%). “Fortunately, it is never too late to start being a good financial steward,” said Olivier. You will get nowhere without a savings plan and savings goals. Ask yourself: what are your future plans and aspirations? Do research and find the best investment provider and options regarding your short-, medium- or long-term goals. These savings goals can include your children’s education, your retirement (a long-term goal for example) or buying a house. Savings first, deductions later – put your savings away before your debit orders go off and before you get the chance to spend it. You don’t have to start with a big amount. Rather start small (what you can afford to save) and adjust your savings amount accordingly. Get creative and try things like a spending freeze. Cut out unnecessary spending and splurges. Make use of what you currently have available when it comes to food, clothing and household items. Get creative with new recipes and clothing add-ons and ‘rejuvenate’ old furniture to usable, modern pieces. Is debt an old friend? You cannot start saving or encourage others to save when you set an example of over-indebtedness. Make use of the snowball effect, i.e. pay off your smallest debt first and then the bigger ones. You’ll learn some discipline in the process and can also continue with these habits when you get the chance to start saving properly. Olivier noted that kickstarting your own savings behaviour can have a ripple effect, which could encourage others to save money too. * Do you have a successful savings plan or story to tell? Share it with us now and help others to also become Savings Heroes. Kick-starting your own savings behaviour can have a ripple effect, which could encourage others to save money too. South Africans know they need to save, or save more, but despite the best of intentions, a healthy nest egg eludes them, says an expert. At least once in the past year, 57% of South Africans have found that their income did not cover their living expenses.